In a series of tweets on Thursday, Union Minister for Water Resources Nitin Gadkari said the Narendra Modi government has decided to stop India’s share of water that flows to Pakistan and supply it to people in Jammu & Kashmir and Punjab. 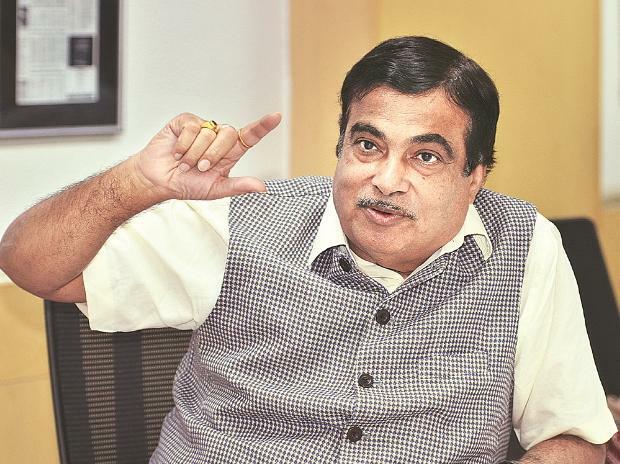 While Gadkari was merely stating a declared policy of the Modi government, first put forth in 2016 in wake of strain in ties with Pakistan, his office was forced to issue a clarification by evening lest the minister’s comments were to be misconstrued in light of the Pulwama terror attack on February 14. In his initial tweets, the minister had also said that the construction of a dam has started at Shahpur- Kandi on Ravi river. “Moreover, the Ujh project will store our share of water for use in Jammu & Kashmir and the balance water will flow from second Ravi-Beas link to provide water to other basin states. All the above projects are declared as the national projects,” he said. The government clarified that the minister was reiterating the government’s stated policy on the issue. In September 2016, the Modi government had said that “blood and water cannot flow together”, alluding to Pakistan’s export of terrorism into India. However, the government had decided not to abrogate the 59-year-old Indus Water Treaty, but that it would take steps to maximise usage of western rivers. The Indus Water Treaty was brokered by the World Bank after eight years of negotiation and signed by India and Pakistan in 1960. Earlier in the day, the Congress party broke its seven-day silence on the Pulwama terror attack, stating that it honoured the mourning period for the death of 44 CRPF personnel who were killed in the attack, and launched an attack on the PM. Congress spokesperson Randeep Singh Surjewala cited media reports to allege that the PM continued shooting for a film in the Corbett National Park on February 14 for his own "self- propagation", and stayed put till the evening despite the Pulwama terror attack in the afternoon that day. Surjewala accused BJP president Amit Shah of indulging in "politicisation of terrorism" in his speech in Assam on Sunday. At a public rally in Assam's Lakhimpur district, Shah had said the sacrifices of 40 CRPF personnel will not go in vain as there is a BJP government at the Centre now and it, unlike the previous Congress dispensation, will not "compromise" on any security issue. Government sources said the Congress criticism of the PM was unwarranted as he had not only cancelled his public meeting in Rudrapur that day, but also held meetings on Pulwama terror attack. Attending a BJP event in Andhra Pradesh's Rajahmundry city on Thursday, Shah hit back at the Congress, saying the opposition party was using the Pulwama terror attack for its "political interests". Surjewala retorted that the BJP president should not forget that it was a Congress government that taught Pakistan lessons in 1947, in 1965 and in 1971. BJP leader and union minister Ravi Shankar Prasad accused the Congress of seeking to weaken the morale of security forces at a time when it is high with the entire country rallying around them. Meanwhile, the Congress announced in the evening that it has requested Lieutenant General (retired) D S Hooda, who led India’s surgical strikes to avenge the death of its soldiers in Uri in September 2016, to head the Congress party’s task force on national security. Hooda, who met Congress president Rahul Gandhi on Thursday evening, will prepare a vision paper on national security in consultation with a select group of experts, the Congress party said.